Photos represent the vibrant memories that we have so fondly spent with our loved ones or captured our achievements and milestones in life. Revisiting them later brings everything alive in front of you. But, when the Windows 10 Photos App crashes, how could you enjoy your beautiful photos? We know fixing the issue is not an easy job. But, we have got you covered. If in any case that you undergo such crashing issues with Windows 10 Photos App, we are here to lead you through. In this article, we have compiled the best solutions for you to get rid of Windows 10 Photos App crashes. 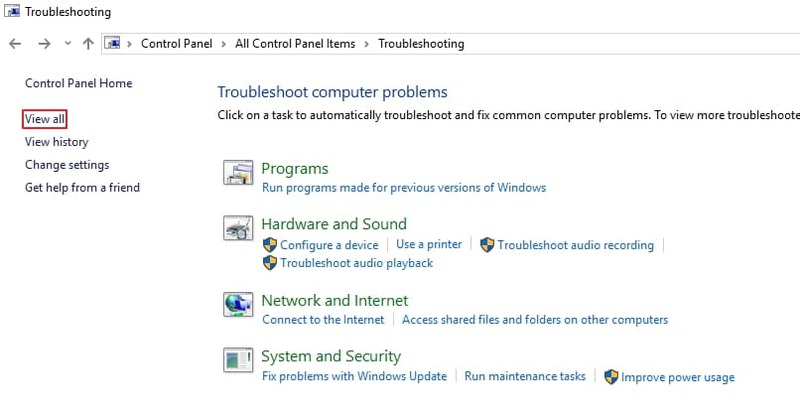 The Windows Troubleshooter is an inbuilt troubleshooting feature embedded with Windows 10 computers. It allows a simple interface to help you choose any application for troubleshooting. Windows Troubleshooter resolves basic issues with the Windows computer, so that users can seamlessly use all Windows 10 system features and functionalities. Press ‘Windows’ key + ‘X’ for launching the ‘Control Panel’. Alternatively, type ‘Control Panel’ in the search box. Pick ‘Troubleshooting’ and hit it. Tap on ‘View All’ from the top-left panel of the screen. From the list of Apps displayed on screen, click ‘Windows Store Apps’ and then press the ‘Next’ button. Now, the troubleshooter will troubleshoot every app within the Windows Store Applications and fix them in a jiffy. Restoring the default libraries would resolve the Windows 10 Photos App crash issues. By resetting the Photo App to its default source to a valid network path fixes the case. Click ‘Windows’ + ‘E’ keys to launch ‘Windows Explorer’. Right click on the left side panel and choose ‘Show Libraries’. Seeing the ‘Libraries’ folder, you got to choose this. The right window pane shows multiple libraries and you need to right-tap the ‘Pictures’ library and then choose ‘Properties’. Tap ‘Restore Defaults’ from the bottom-right portion of the screen. Lastly, click on ‘Apply’ followed by ‘OK’ and the issue will be resolved. 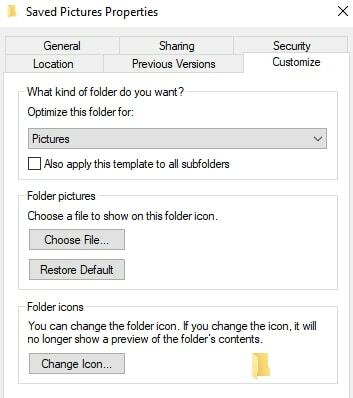 When you reset the Windows Photo App itself, your issue gets resolved. Plenty of Windows users have mentioned that resetting the Photo App has fixed the unresponsive or crashing app problems. Go to ‘Windows 10 Start Menu’ and then click ‘Settings’. Now, click the ‘Apps (Apps & Features)’ option followed by the ‘Photos’ app. Hit ‘Advanced Options’ and click ‘Reset’ button thereafter. Now, you got to restart your Windows system, so that Windows 10 Photos App crashing problem can be easily resolved. A corrupted Photos App package might wreak havoc in your photo viewing, as the app doesn’t buzz follow your commands. The least you can do here is repair the package to fix minor glitches within and get it going. On your Windows 10 system, right-click ‘Start’ and launch the ‘Command Prompt (Admin)’. Now, type ‘powershell’ followed by the ‘Enter’ key. Allow few minutes to make the changes effective and then restart the Windows 10 computer. Now, the Windows 10 Photos App won’t crash. Alternatively, if nothing works out in your favor, you can always fix Windows 10 Photos App crash issue by reinstalling Windows 10 Photos App. A corrupted Photos App might create disturbance for you, so reinstalling would get a fresh and bug free version on your system from the Microsoft Store. After you right-click the ‘Windows’ icon from the taskbar, select ‘Windows PowerShell (Admin) and then key in – get-appxpackage *Microsoft.Windows.Photos* | remove-appxpackage. Click the ‘Enter’ button after that. You got to wait a while for completing the process and reboot the Windows 10 system after that. Now, visit the ‘Microsoft Store’ on your computer and find ‘Microsoft Photos’. Install ‘Microsoft Photos’ after downloading it from there. Your Windows 10 Photos App crashing issue is well taken care of now. From the above article, we have concluded that, experiencing Windows 10 Photos App crashes is not uncommon. But, resolving them shouldn’t give you nightmares as well. From the above mentioned process guides, you can fix the Windows 10 Photos App crashes effectively without any hassle. Try following each of the methods until you get the Photos App crash issue fixed, so that you can view your photos without any trouble.